What is a minute book and do I need to have one? Is the “intelligent insurance agent” intelligent enough to avoid liability? Rod was born and raised in Peterborough, Ontario. He recently received his J.D. from Osgoode Hall Law School. Prior to attending law school, Rod obtained a Bachelor of Arts (Honours) from Trent University in International Development Studies. During law school, Rod participated in a number of activities that reflect his interest in advocacy. 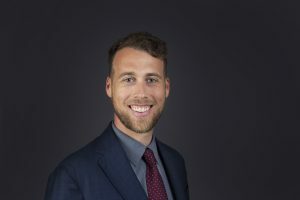 He participated in the Family Law Project with Pro Bono Students Canada, worked as a Division Leader at the Community and Legal Aid Services Program, and conducted mock refugee adjudication hearings with Matthew House. At Dooley Lucenti, Rod is looking forward to deepening his understanding of family law and estates, while continuing to grow as an advocate. In his spare time Rod enjoys chasing around his young daughter, paddleboarding on Lake Simcoe, and cycling. Perla was born and raised in Mexico where she completed Law School. Before relocating to Canada, Perla worked as a judicial law clerk at the Federal Court of Appeal and the First Judicial Criminal Court. She also practiced law at a firm specializing in civil litigation and family law. Since moving to Canada, Perla’s experience includes working at law firms and a court based mediation service. Perla completed her LLM in Canadian Common Law at Osgoode Hall Law School and, while there, participated in the Family Law Program with Pro Bono Students Canada. Her volunteer experience spans from teaching Spanish to children to serving in an access to justice not for profit organization in Toronto. In her spare time Perla enjoys cycling, traveling and a daily walk. Perla is fluent in Spanish. "Is this an appropriate case for summary judgement?" "Coverage Issues for Employment Practices Liability Insurance"